Having purchased this novel on the recommendation of a friend who said it was just my kind of fantasy, I suppose it isn’t ridiculous that I’ve allowed it to sit on my bookshelf staring at me every day for ages. Now, though, it is finally time to pull this one down and put that recommendation to the test, see how well my friend really knows me. Purchase The Red Knight at Amazon. As most of you will know, I’m an admirer of Mr. Moore’s sword and sorcery offerings, which deliver all the fast-paced pulp fun of ages past with a delightful dose of old-fashioned horror. After enjoying The Last Sacrifice, I can’t wait to see what Mr. Moore has in store with readers with this second installment of The Tides of War series. Purchase Fallen Gods at Amazon. Most people didn’t love The Unremembered. I did, however, enjoy the Author’s Definite Edition, which fixed many of the problems people had with the initial edition. Once I began this book though some changes in the tone and plot caused me to loose interest, but I really want to see where this story goes. 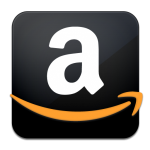 Purchase Trial of Intentions at Amazon. As a self-professed fan of anything writen by Glen Cook, it is great sorrow I admit never having found time to read this book (or the Shadowfishers series it spawns). What makes it worse is that I own the whole series, look at them on my bookshelf every day. Well, this winter I’m going to get started reading them. After enjoying The Emperor’s Blades and its follow-up The Providence of Fire, I was anxious to begin the conclusion to this trilogy. Heck, I even got on Amazon and purchased a brand new, hardcover edition. Then I got busy reading other novels and never found my way back to this one, so I think it is fitting I finish it up soon. Purchase The Last Mortal Bond at Amazon. Nope, The Red Queen’s War isn’t as amazingly grim as Mark Lawrence Broken Empire trilogy, but I still enjoyed the majority of the first two books. Why I’ve never gotten around to reading the concluding installment I don’t know. There is no better time than the present to rectify that though. Purchase The Wheel of Osheim at Amazon. Can’t express how excited I was when The Last Chronicles of Thomas Covenant was released. Hell, I devoured The Runes of the Earth and Fatal Revenant faults and all. But I couldn’t muster any excitement for this book, but since I’m a completionist, its time to pull this one off the bookshelf and finish this series already. Purchase Against All Things Ending at Amazon. As a lover of all things Dune, I buy all the books. Are these novels by Brian Herbert and Kevin Anderson as good as the originals? Nope. Why do I read them then? Because I’m a Dune lover, and I have to have my fix of Dune ever so often, which is why its time to read this. Purchase House Atreides at Amazon. Honestly, I didn’t love The Blade Itself, but I’m not sure if that was because the book wasn’t for me or my expectations were set to high. To determine this question once and for all, I need to muster up the effort, read the rest of The First Law series, and decide is Abercrombie for me or not. Purchase Before They Are Hanged at Amazon. Sanderson is an author I’m gradually growing to love as I read more of his writing, but when I picked up Mistborn: The Final Empire, he and I had never met before, and while I enjoyed our first read together, The Well of Ascension just did not do anything for me. Time to try again, because I need a bit more Sanderson after Oathbringer. Purchase The Well of Ascension at Amazon. This entry was posted in Top Ten Tuesday and tagged Against All Things Ending, Before They Are Hanged, Brandon Sanderson, Brian Herbert, Brian Staveley, Fallen Gods, Glen Cook, House Atreides, James A. Moore, Joe Abercrombie, Kevin J. Anderson, Mark Lawrence, Miles Cameron, MISTBORN: THE FINAL EMPIRE, Peter Orullian, SHADOWLINE, STEPHEN R. DONALDSON, The Last Mortal Bond, The Red Knight, The Wheel of Osheim, Top Ten Tuesday, Trial of Intentions. Bookmark the permalink. What a great list – so many good books to look forward to. I can’t wait to read Oathbringer. I’m always glad to see someone about to get on the Traitor Son bandwagon! I’m probably going to re-read Dune for Vintage Science Fiction month (as are several people). I read it in college and bounced off of it. I’m debating whether I should try to go ahead and read the Mistborn trilogy over Christmas along with Oathbringer. I didn’t love Dune the first time I read it. Once I was older, it became a favorite. Definetly give the red knight a shot. After finishing malazan I was looking for something similar And The traitor son cycle is the closest thing I’ve read to it. I don’t think I’ve read any fantasy author that has such an authentic medieval feel to their work. It’s great! Another similar series is The chronicles of the exile by Marc Turner. But I think you’ve might of already reviewed the books that are out so far. Their 2 authors really under rated. Oh yeah the author of The red knight also has a bunch of historical fiction series published under his real name Christian Cameron. Just food for thought.